Risk defines the startup culture … bold people doing things that have never been done. But the trouble is, you can’t have a bunch of cowboys with conflicting egos and goals all trying to impose their opinions and not considering the team and company interests. Accelerators, VC or Angel investors find the team one of the determining factors in creating a successful business, and we are no exception. At HTXL we have developed a strategy to – if not eliminate the risk of failure – manage it, starting with team composition. We start the journey to becoming a high performing team before the actual program. We screen startups during the selection on the strength of their team. Do they have what it takes to make it successfully through the program and to get the most out of what we offer them in accelerating their business? After the initial assessment during the selection interview, we may have identified red flags or risks we discuss with the team before entering the program. 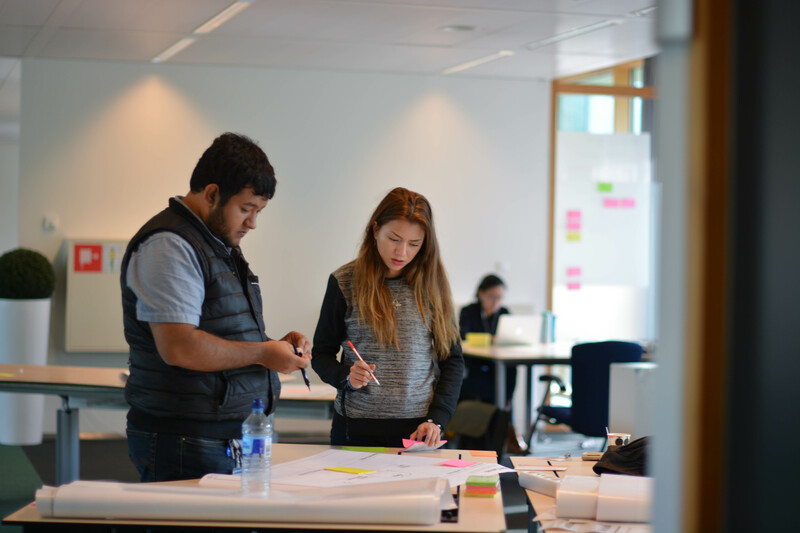 Once they’ve entered the HighTechXL accelerator, we assess them using a personality test to figure out who they are and what drives them. These individual profiles are combined into a team profile. This team profile creates a common language and a basis for understanding each other and where each team member is coming from. It also gives insights in how the interaction may develop within the team. It has happened that team roles were divided in a way that did not make sense based on the profiles. For instance, a salesperson may show a low score on Energy/Extraversion. If this becomes clear, we don’t change roles but discuss the options. This person is probably someone who can do sales really well based on content. Once the door is open, this person can tell a very good story about the product and why it’s so important and necessary. If making the first connection is hard, this person can team up with a colleague who is better at opening doors and who may be more outgoing. So, team up! Be honest about what you find difficult and how others can help you. In small teams, it is rare to have the perfect setup in terms of roles and responsibilities, especially if you are building up your business. In good teams, there’s no room for egos. Characteristics of a high-performance team include trust in each other and respect for each other. Members are able to put the interests of the team above their own interests. You can have an ego, but you need to be able to control it. We believe the teams we are working with know what they need in terms of skills and expertise related to their products. In the end, they know their products best. During the rest of the program, we help them focus on and identify their markets, customers and how they can make a business out of their ideas. In general, they’ve built up their teams with a couple of experts, and they know what to expect from those experts in terms of content or skill set. But they rarely talk about what they can expect from each other related to other elements, defining elements, in building high-performance teams. It’s not only about content or your idea. You can have a brilliant team in terms of experts, but that doesn’t mean it’s going to be a well-functioning team. That’s something completely different. In the team workshop, we don’t focus on skills or knowledge. Instead, we look at their (personal) goals and what intrinsically motivates them. What gives them energy. Especially energy, because in an environment like this, you need a lot of that! Once they have insight in both the individual and team profile, it is time to take the next step: figure out how to actively use this knowledge to become a high-performance team. During the workshop “How to build high performance teams,” we dive into the characteristics of HPT and look at some examples of big companies and other startups and how they have dealt with this. The result of the workshop is a team charter in which the team members draw up what is important, what each team member needs to be aware of, and what needs to be done to become a better performing team. After the workshop, in general, the teams go out with more questions than they came in with, which we think is a good sign. And, of course, the strength of drawing up the plan is not just to have it, although that raises the awareness and already helps. It is more about actually living according to it. In this plan, it becomes clear what the roles and responsibilities are, strengths and weaknesses, needs of the team, but, of course, also aligns why you are doing this. We know that teams with a strong sense of purpose last longer and go farther. After this plan is drawn up, we discuss it in a dedicated session with the team. Sometimes this discussion leads to further meetings, which help the teams grow toward high performance or resolve conflicts or contradictions. We also focus our teams on achieving psychological safety in groups and creating ownership. Psychological safety is the extent to which you feel you can take risks, to try out new stuff in the setting of this team while knowing if you fail, it’s okay. It doesn’t impact how people look at you. You don’t run the risk of losing face. Our programs are aimed at learning and trying new things. Participants are all, at some point or other, outside their comfort zones, and this creates, among other things, inspiration and motivation, as long as we agree that failing is okay. We look at failure as a side effect of learning. This balance between challenge and psychological safety is something we actively boost in our programs. Finally, we’ve found the best team profiles are also diverse in terms of cultural background, gender and age. We know that helps. If you have already formed a team, and the diversity is not ideal, we help in adding diversity by adding people from the outside including mentors or HTXL team members. In general, what you see with startup teams is they have some kind of defined roles when entering the program. The person with the idea or knowledge of the technology is very often the CEO. Sometimes this person is not necessarily the best choice for CEO. Being a CEO in the startup in the beginning where a lot of energy and passion are needed, and someone who is okay in dealing with little structure, is a completely different type of CEO than in a scale-up where you need a person to secure and maintain structure without, of course, losing flexibility. We also address this in our workshop. We’ve had teams that had a CEO, and we thought there was too much risk. We discussed it up front. Teams are sometimes inclined to say, “Okay, we know where you’re coming from. We’re going to change roles.” That happens! Those discussions are not easy, and sometimes this awareness is enough, but sometimes indeed roles are changed. Being part of our program and working in a startup is a journey; you try out new things, you fail, but most importantly, you learn and grow. Being open to this experience will give you the opportunity to rise above yourself and really grow your business and innovate. Interested in building your high performing team? 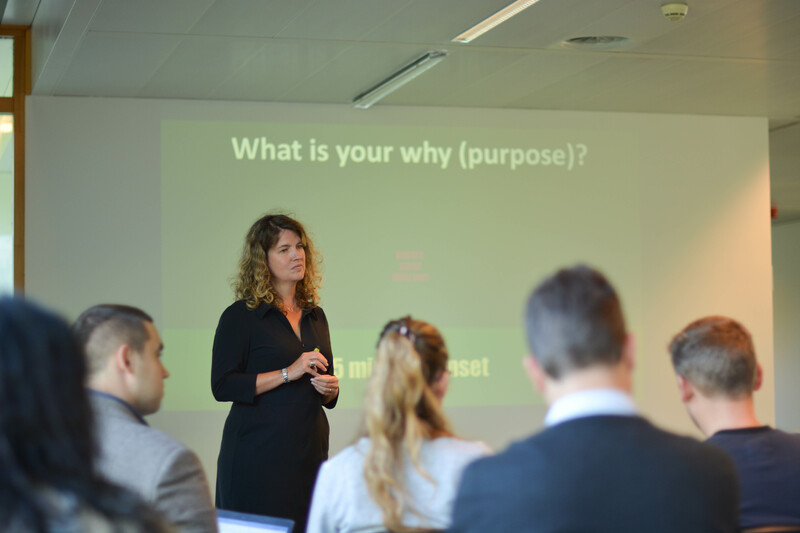 At HighTechXL we've been working with startups and corporates for the past three years, supporting them to build their teams and businesses. Find out here how we can help you take your company to the next level.